Processed Cheese is a blend of cheese, water and other permitted additional ingredients (depending on legislation) such as milk powder, cream, anhydrous milk fat, vegetable fat, whey proteins, caseinates, starches and coloring. The viscosity, texture, p.H. balance and binding of the water and fat content is achieved by the use of a variety of emulsifying salts. These include phosphates and citrates. Both spreadable and block type processed cheeses have similar ingredients but the proportions of these and manufacturing procedure vary according to the end product. Cooking at between 160 - 195ºF or higher follows. The cooking time for cheese spread type products is between 10 - 15 minutes, for block types 4 - 5 minutes is more common. 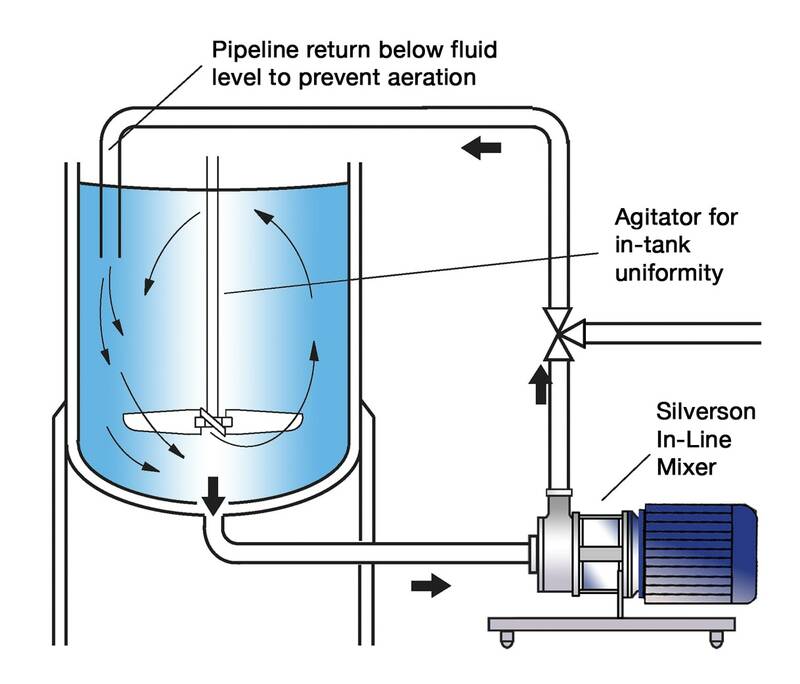 Temperature is raised for pasteurization, typically around 265 - 300ºF. The product is transferred to packing. 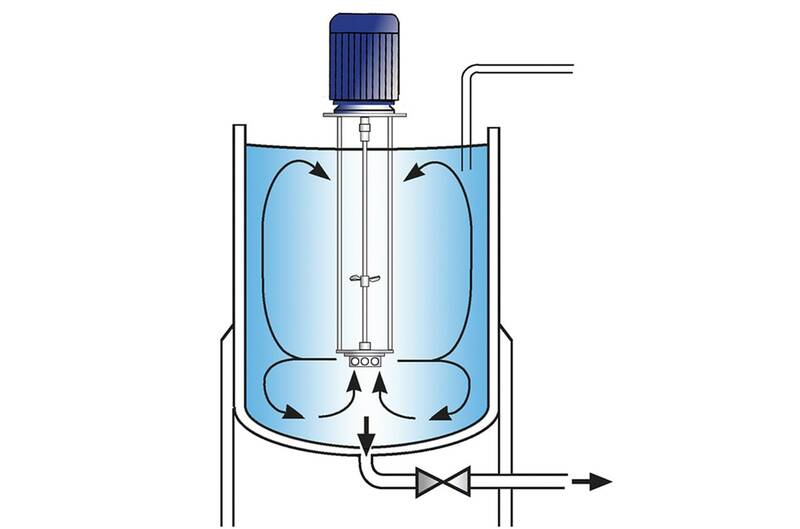 With spread products this would normally be combined with passing through an inline mixer/homogenizer. When added to water, emulsifying and stabilizing agents tend to form agglomerates which cannot readily be broken down by agitation. Similarly, a degree of high shear may be required to obtain functionality. 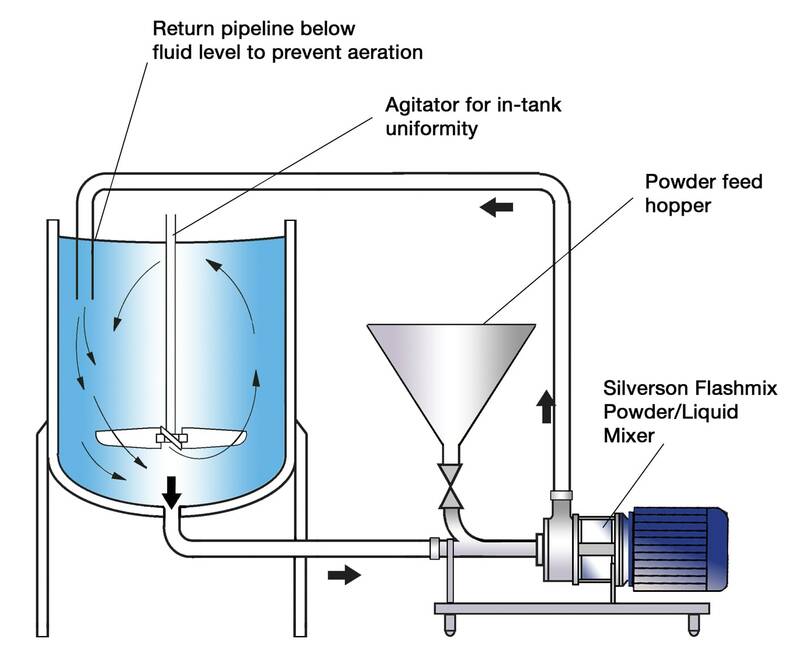 A Silverson High Shear mixer can overcome these difficulties, improving the preparation of the premix, or as a final homogenization stage prior to packing.